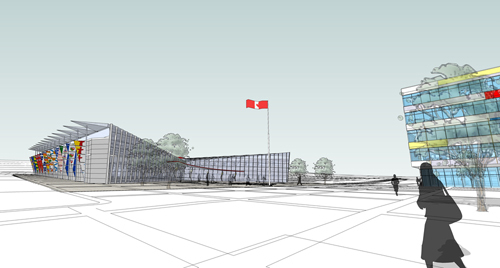 An artist's rendering of the new Canadian Sports Hall of Fame in Calgary. This is going to be a crazy week here at JCH.com headquarters. In addition to my usual self-imposed blogging duties I’m working on an exciting freelance project for the Canadian Sports Hall of Fame. Specifically, I’m doing brief profiles of honoured members Lionel Conacher, Angela James and Jacques Plante. My writing will be part of the displays at the new Hall of Fame that’s being built in Calgary’s Olympic Park. In any event, I’ll try to keep the content coming in this space, but there is a good chance that I’ll miss a day or two this week.